Instead the Eagles threw their second to last game away (literally) and it ended up costing them a potential playoff spot. C’mon Eagles, at least make the Cowboys earn it by having to win a Week 17 game. While the Cowboys have been the team that always seems to get in their own way and mess things up, the Eagles out did them this year by starting the King of the “Get In Your Own Way” All-Stars: Mark Sanchez. Now you might have read my previous piece on Sanchez titled Philadelphia: (Fantasy) Quarterback Heaven and be thinking, “Wow, this guy flip-flops like a lot.” Before you never read anything I write again, realize that was an article about how good of a FANTASY quarterback option Sanchez was the rest of the fantasy football season. Whether I was right or wrong about that six weeks later, just know there is a big difference between being a good fantasy quarterback and a good real-life quarterback. The former King of the “Get In Your Own Way” All-Stars was Tony Romo and he has been a quality fantasy quarterback for many years. Luckily for Romo, most fantasy football seasons end after Week 16 just as this regular season this year did for the Eagles and their playoffs hopes. There are a lot more than usual meaningless Week 17 games still scheduled to take place this week, and some teams have more to play for (or lose for) than others. Philadelphia finds themselves in a weird spot: they have nothing to play for after being in the driver seat to win their division for the past month. As I said to my Cowboy-fan friends who texted me as the Cowboys trounced the Colts, maybe this is the type of season the Eagles needed to get drastically better this offseason and not get complacent. Nothing is worse than being a organization that thinks their team is better than they actually are, just ask the Joe Johnson, and Josh Smith Atlanta Hawks. Being a team that gets bounced from the first round of the playoffs every year gives organizations and fans a false sense of hope that their team is only a few moves away. Most of the time reality in these situation is the exact opposite. In the Eagles case its easy to say they are just a quarterback and secondary away from being a legit Super Bowl contender. News flash: that can be said for a lot of teams. The rebuild in Philadelphia is going right according to plan. Without getting into too much detail the Eagles rely and trust heavily on their scouts to find game-changing talent in the draft, and it seems this year that might be easier to do with a mid-teens first round pick. I’ll save the rest of the Eagles’ offseason plans for the actual offseason when that’s all we have to talk about, but missing the playoffs might not be as bad a thing for a young, up-and-coming football team and head coach. Winning 9-10 games and making the playoffs only to lose in the first round every year is not where any organization wants to find itself trapped five years into a rebuild. A potential double digit win season without a playoff birth can be just what this team needs push themselves to drastically improve. Now take the opposite of everything I just said about the Eagles and you have what I believe may happen to the Dallas Cowboys. I know winning the division and making the playoffs must be so sweet for a team and its fans who have suffered a lot of heart break over the past three seasons. I am just not sure if this Cowboy team (and its front office) is best suited to believe they a “playoff team” the way the team is currently constructed. Don’t get me wrong; the Cowboys are and deserve to be playoff team this season, but do they have to makings to consistently win. I also believe having one person as both owner and general manager will never work consistently. It is nothing against Jerry Jones, who I believe is a great owner and pretty good general manager when doing those jobs separately. The problem is the Owner Jerry Jones and the General Manager Jerry Jones have conflicting interests that I believe make it almost impossible for any one human being to do both jobs well at the same time. 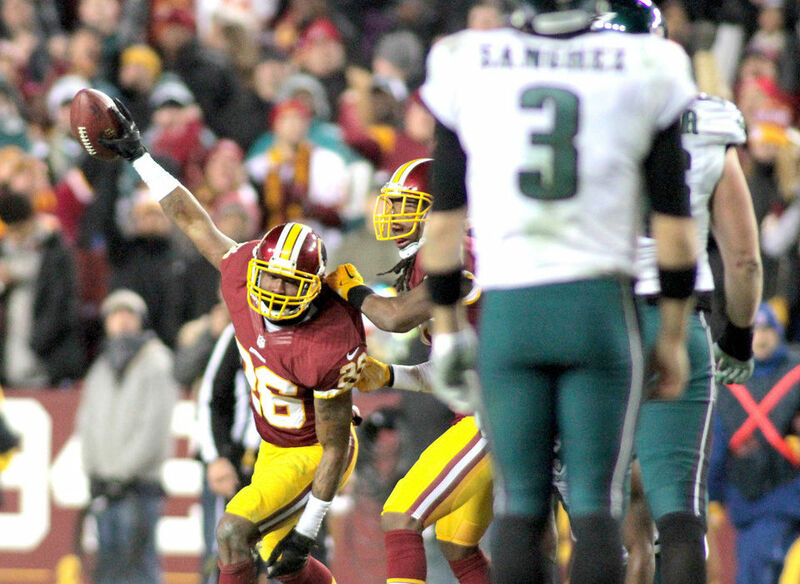 As an Eagles fan I was very frustrated watching my team’s season basically end on a Saturday afternoon in Maryland against a Washington team that had nothing to play for but a better draft pick. After taking 48 hours to let it sink in the Cowboys were going to the playoffs after 16 Weeks of a regular season I am more optimistic about the future now than I was a week ago. I am confident this type of season that doesn’t result in a playoff birth will light a fire under the owner, general manager and head coach to make significant changes and upgrades that will result in the Eagles being better in the years to come. This entry was posted in Home, NFL and tagged Chip Kelly, Cowboys, Dallas, Dallas Cowboys, Eagles, Eagles Rebuild, Jerry Jones, Mark Sanchez, NFC East, NFL, Philadelphia, Philadelphia Eagles, Playoffs, Rebuild, The Eagles, Tony Romo. Bookmark the permalink.